Title: Market Day III - This is an original painting by U.K watercolour and soft pastel artist Greg Howard. 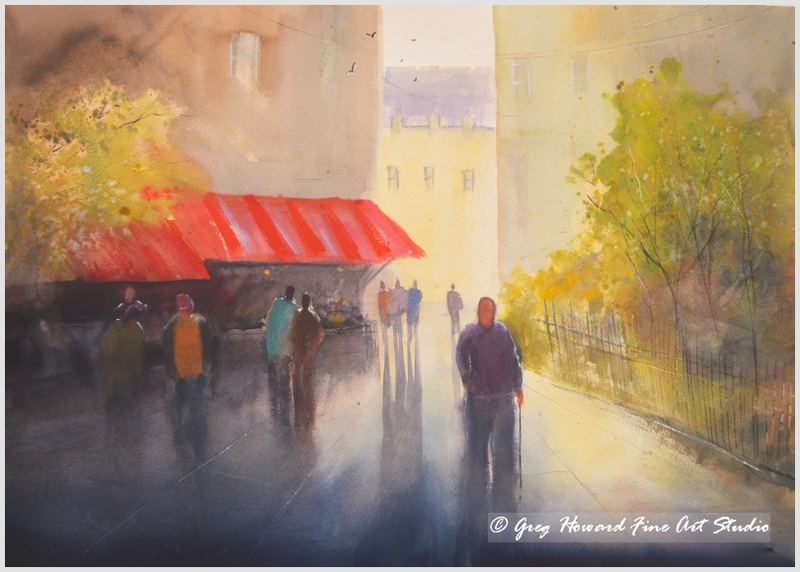 Title: Market Day III – This is an original painting by U.K watercolour and soft pastel artist Greg Howard. I love the hustle & bustle of a busy market place. Unfortunately these markets tend to be dying out in the U.K for the same reason that our high streets are namely due to an increase in out of town superstores being built that sell everything. Personally I don’t think you can beat a market it’s a great way to shop and you always get a bargain if you keep your eyes peeled. They also make great subjects to paint! Be the first to review “Market Day III” Click here to cancel reply.